Ian Eilenberg Building consultants has been trading since 1985 within the building industry. 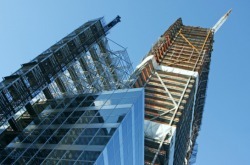 The company consults in a wide range of building related matters, such as expert witness for technical matters concerning building works of all sizes and progress assessment for all types of construction from houses to major construction, (for more services please consult the services page). If you have any related question and would like get in contact with Ian Eilenberg Building Consultants please feel free to use the 'contact us' page or you can call during business hours Monday to Friday.